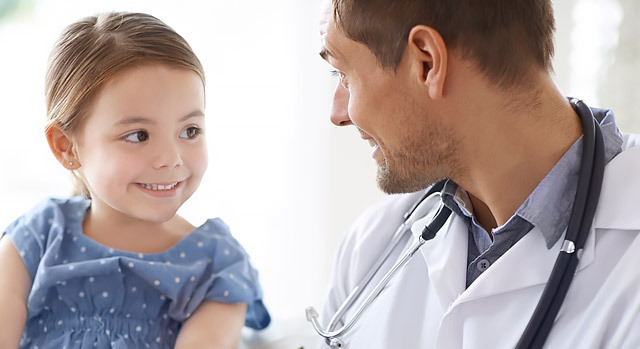 It’s not uncommon for children to be scared, nervous or confused during hospital visits, but surgeons often need a child's full cooperation in order to complete a procedure. Pediatric sedation services at Summerlin Hospital Medical Center can use properly applied and well-managed sedation when necessary to help your child relax, remain calm and tolerate long, sometimes painful medical procedures. Summerlin Hospital is one of only two children’s hospitals in the region to offer pediatric sedation. How will sedation help my child? Pediatric sedation may be necessary if you and your doctor think your child will need help staying still during a scheduled procedure. For invasive procedures, it can also reduce feelings of pain and anxiety. Because sedation allows your child to cope and feel comfortable, your doctor can focus solely on the procedure itself, increasing the chance of success while lowering the risk of complications. You decide if sedation is right for your child. Talk to your doctor about the effects of sedation and if there are other alternatives. How is the sedative administered? Only a registered nurse or doctor may deliver sedative treatments. These trained healthcare professionals can make sure your child receives the proper dosage at the appropriate times. Your doctor will provide specific instructions prior to the procedure. It’s important to follow these guidelines as described to properly prep your child. Generally, no food or drink is allowed for several hours before the appointment. Having an empty stomach prevents certain complications, such as vomiting, during the procedure. The sedation team will give you a call one to three days before the procedure to confirm arrival time or relay additional information. They may also take your child’s medical history at this time. Your child will receive special attention from a sedation nurse whose only responsibility is to monitor your child’s heart rate, blood pressure and oxygen levels. Your child will receive the sedative medication incrementally and in small doses. Once medicated, some children fall asleep, while others stay awake. Once the procedure is complete, children go to the recovery ward. If the child is sleeping, we allow them to wake up naturally. The time it takes your child to wake up depends on the extent of the procedure and the amount of sedation given. As soon as your child is awake, they are allowed to drink fluids. If your child is going home after the procedure, make sure you watch them closely for 24 hours. Do not leave them alone as they may feel more fatigued than usual. Keep your child’s head upright. If their head falls forward, it could make breathing difficult. Take any special precautions communicated by your medical team.